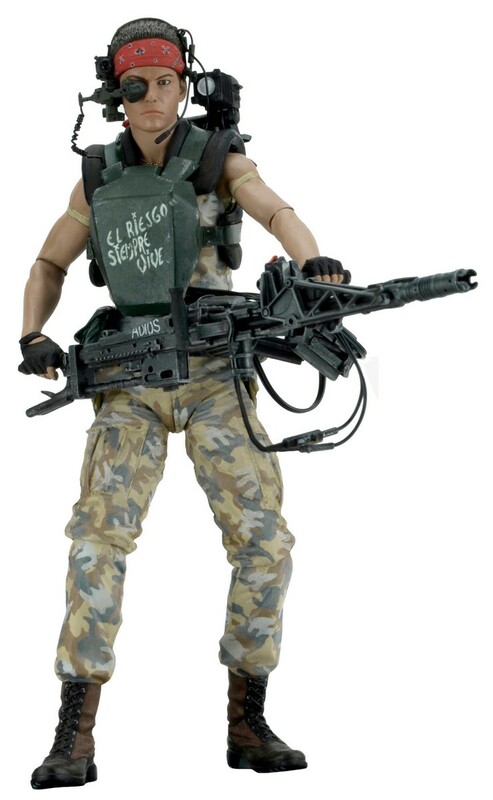 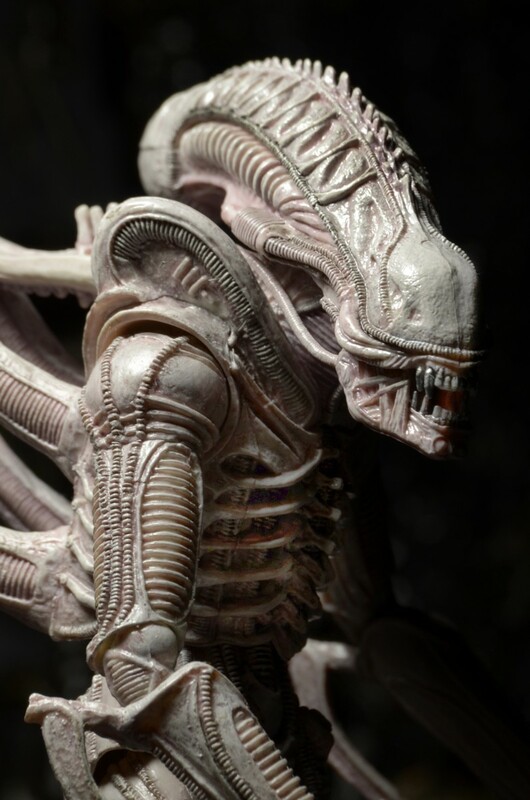 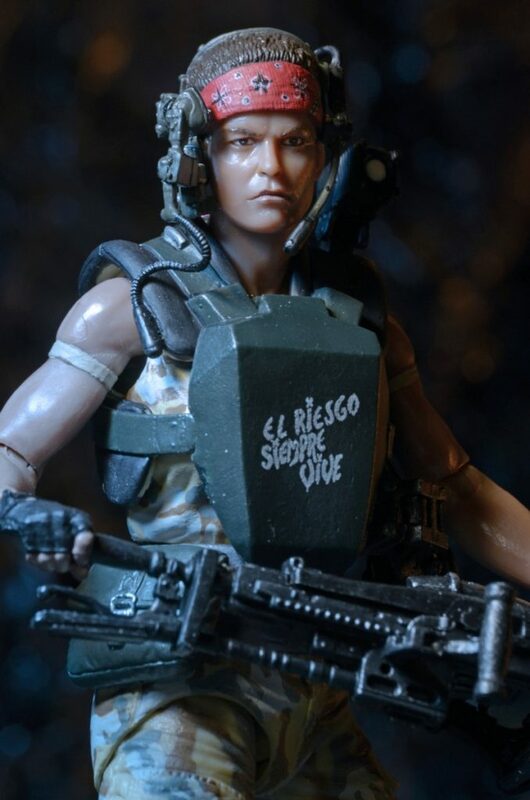 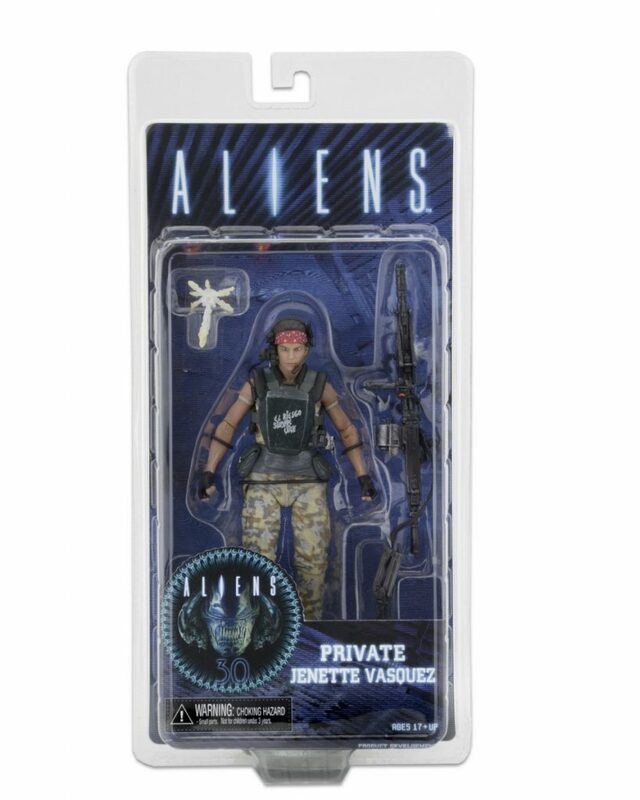 You are here: NECAOnline.com » Licenses » Movies » Alien » Closer Look: Aliens Series 9 Action Figures – Vasquez, Frost and Albino! 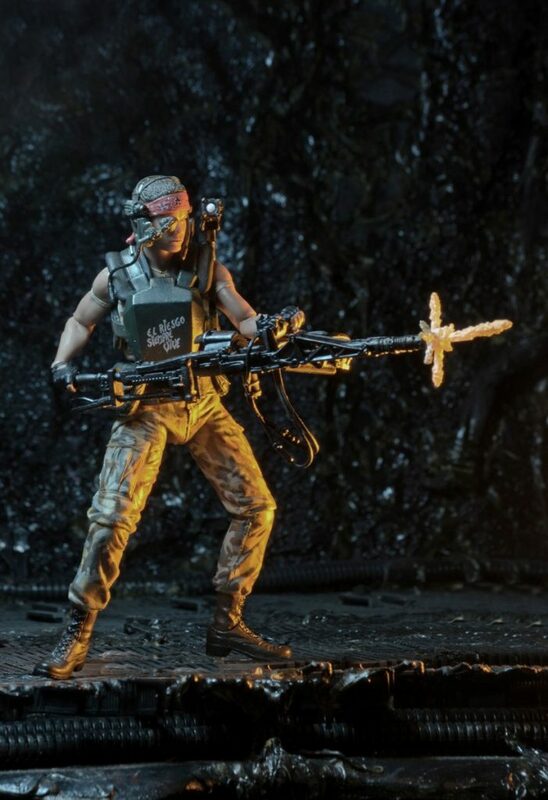 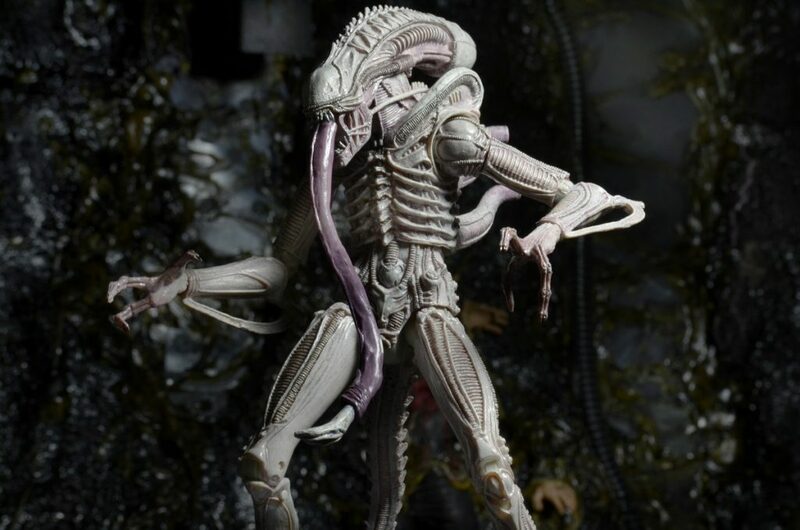 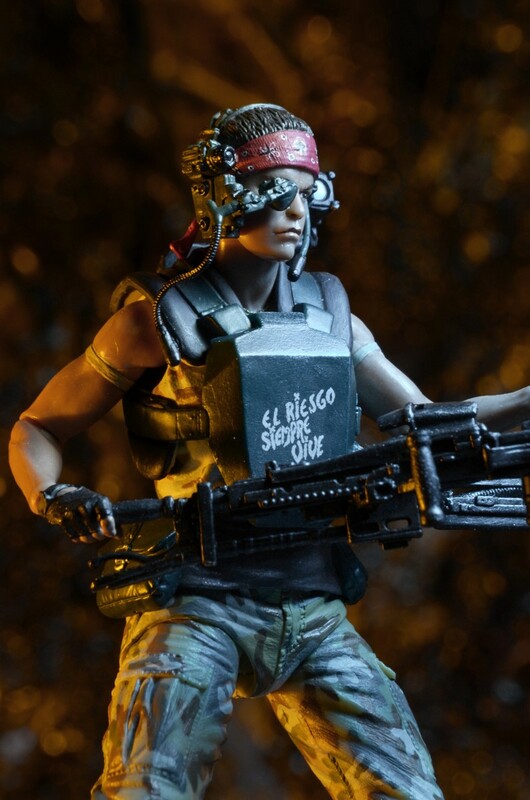 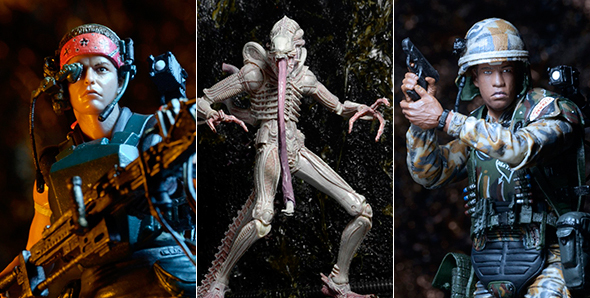 Take a closer look at the hotly-anticipated Aliens Series 9 figures, featuring Vasquez, Frost and the Albino concept figure! 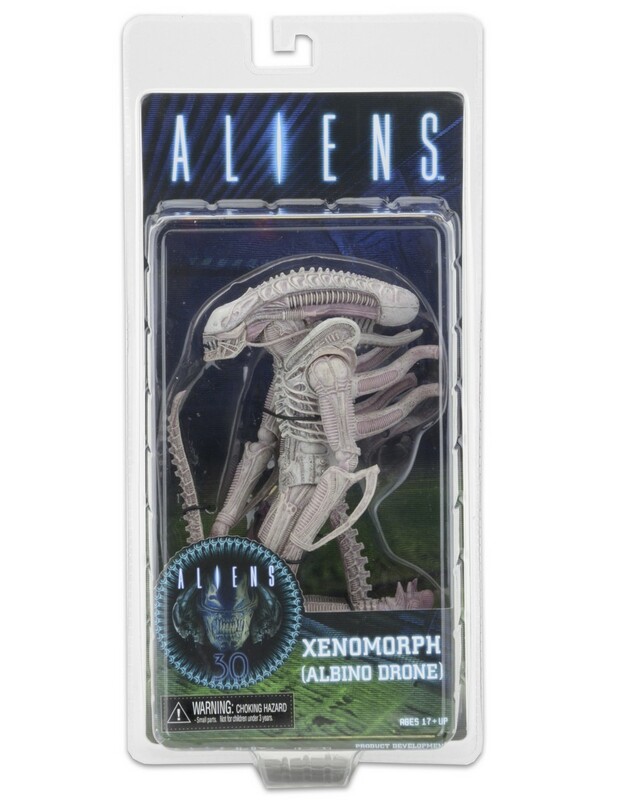 We’ve got brand new images and in-packaging photos – expect the series to start shipping to retailers early next week. 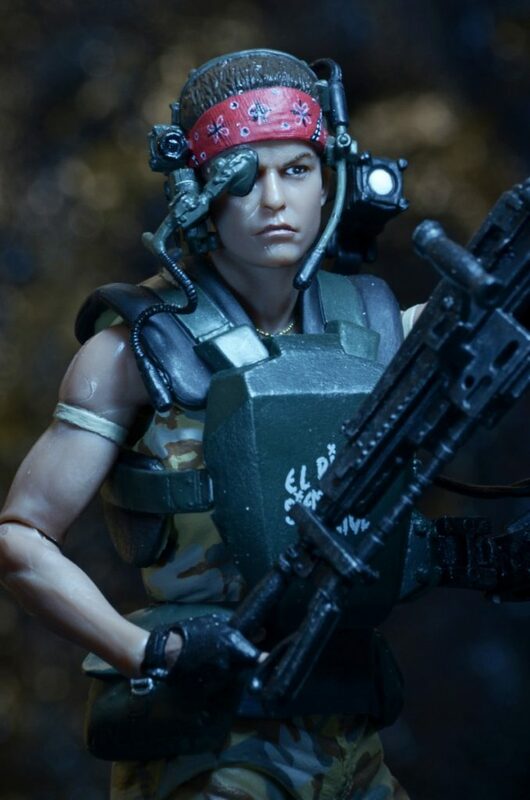 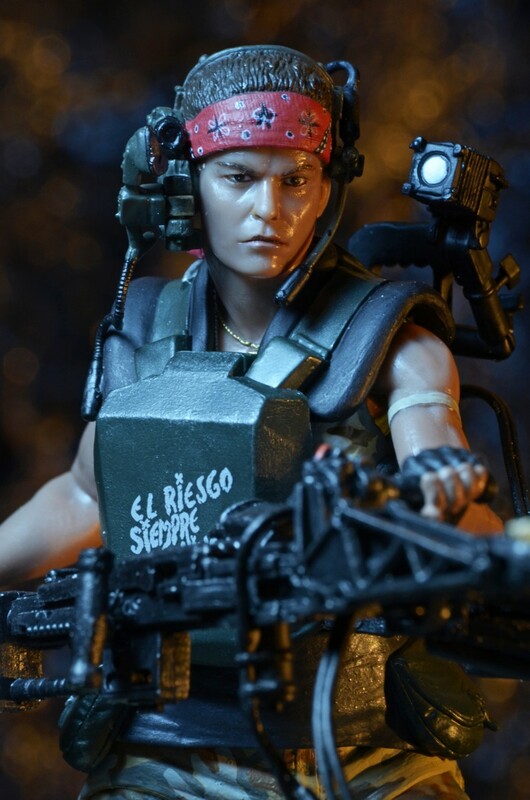 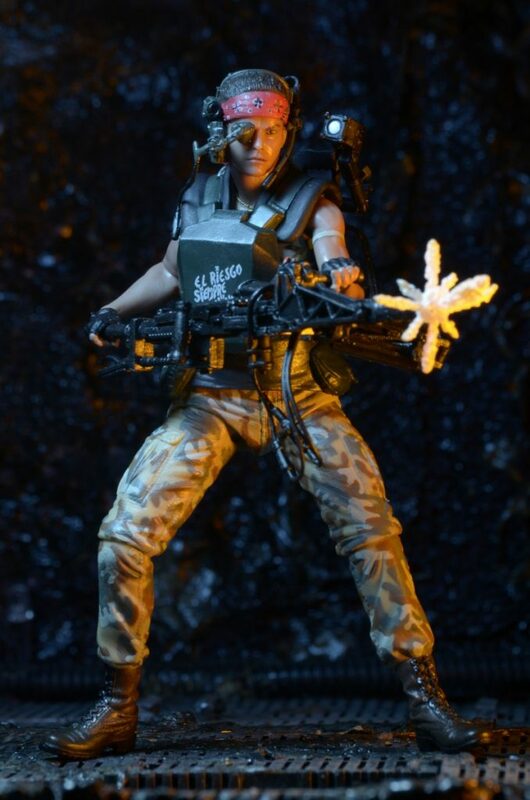 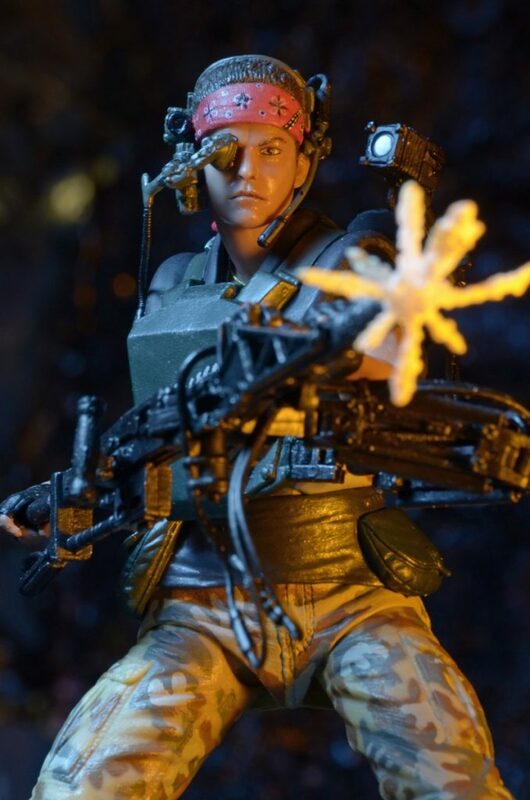 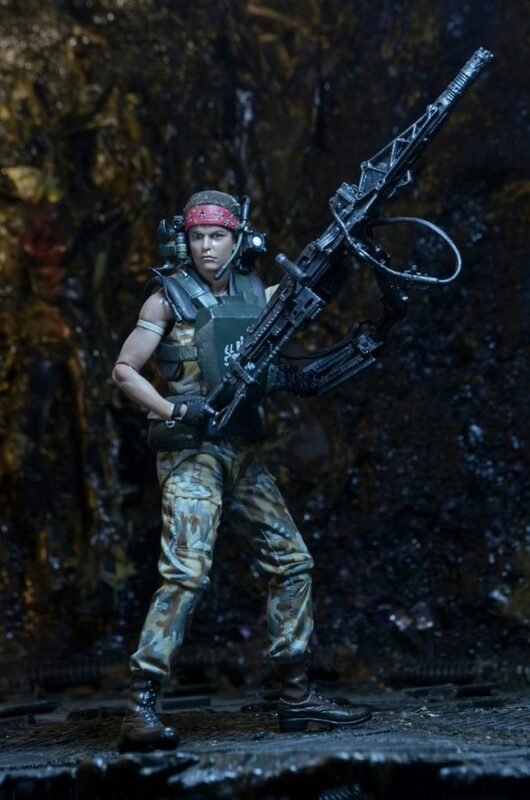 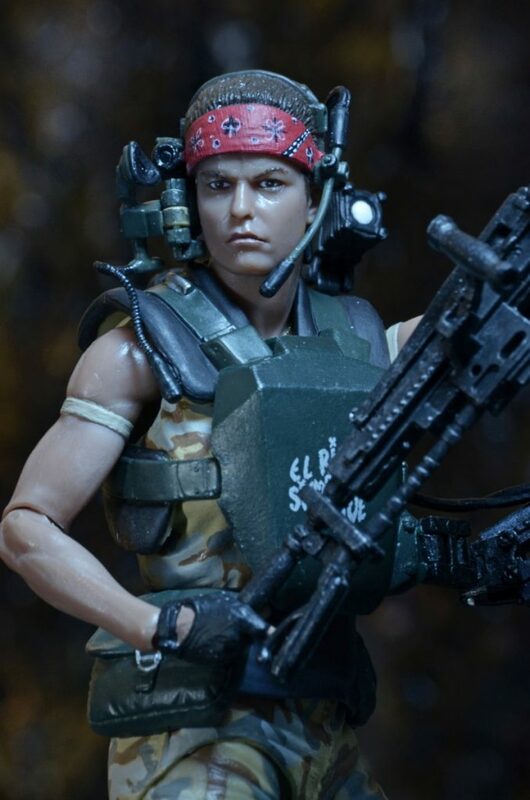 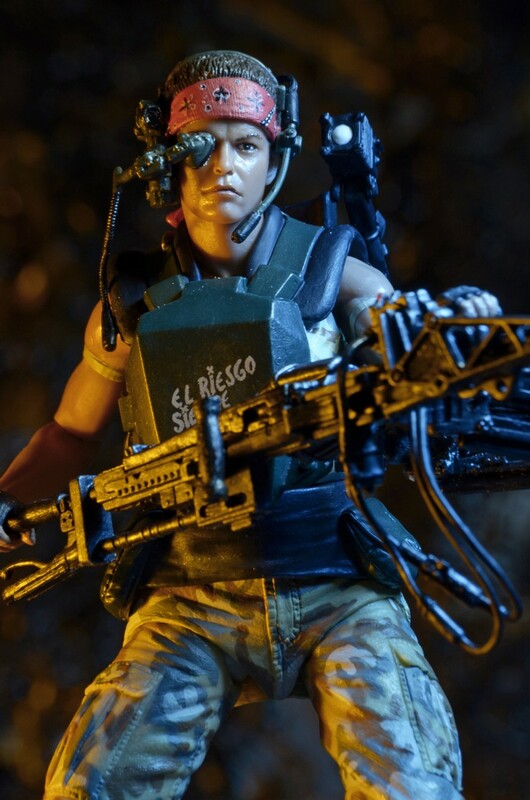 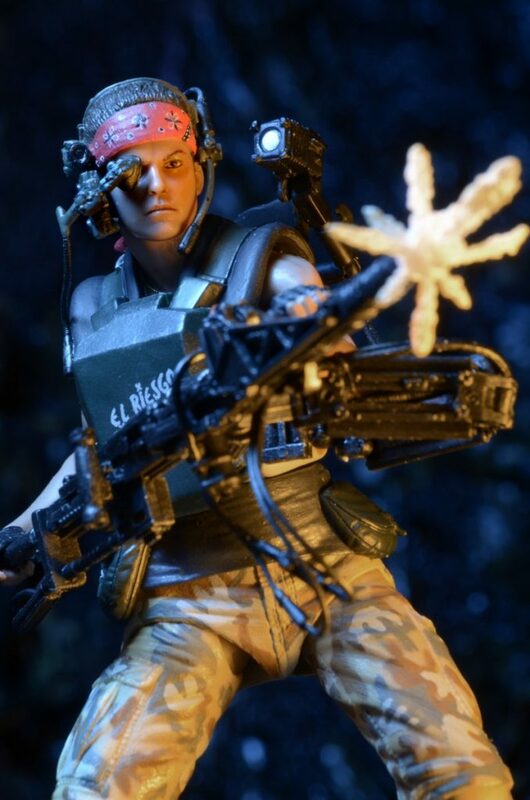 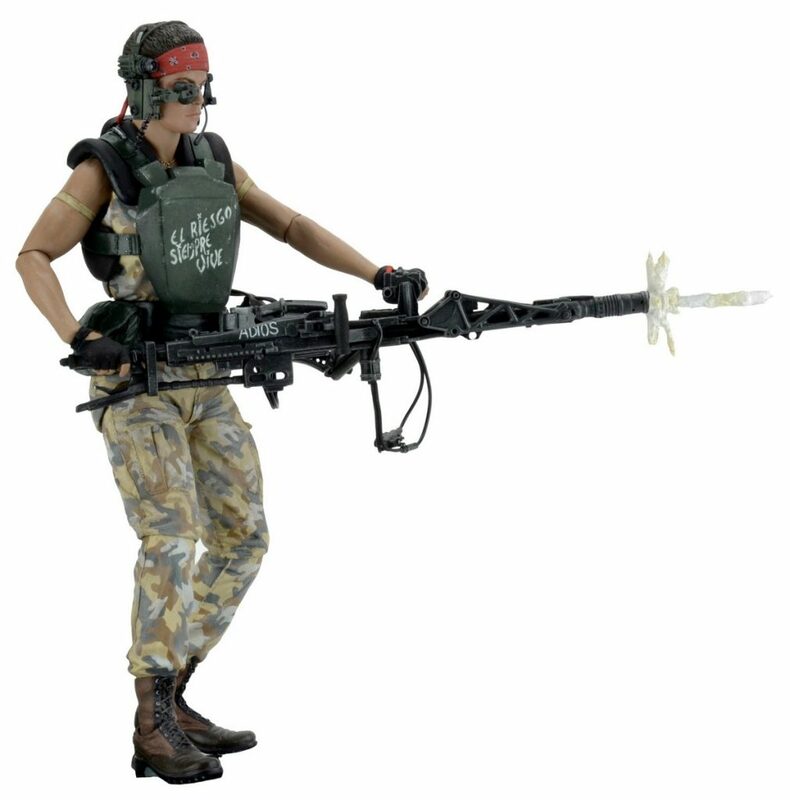 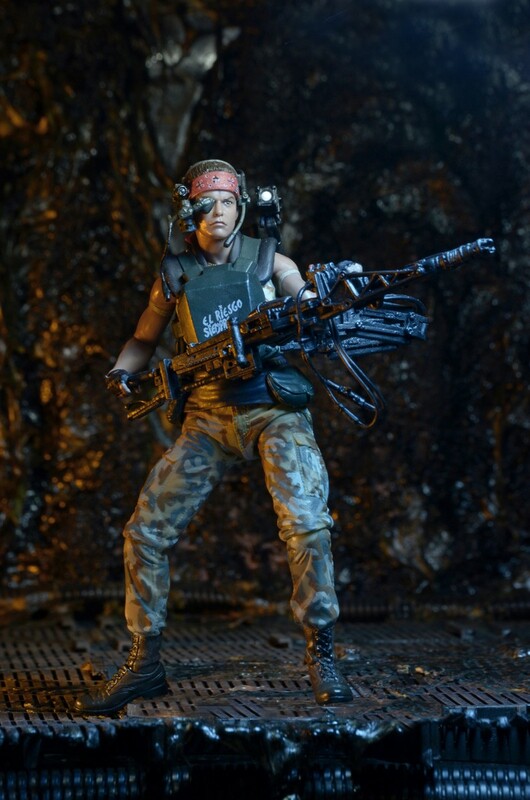 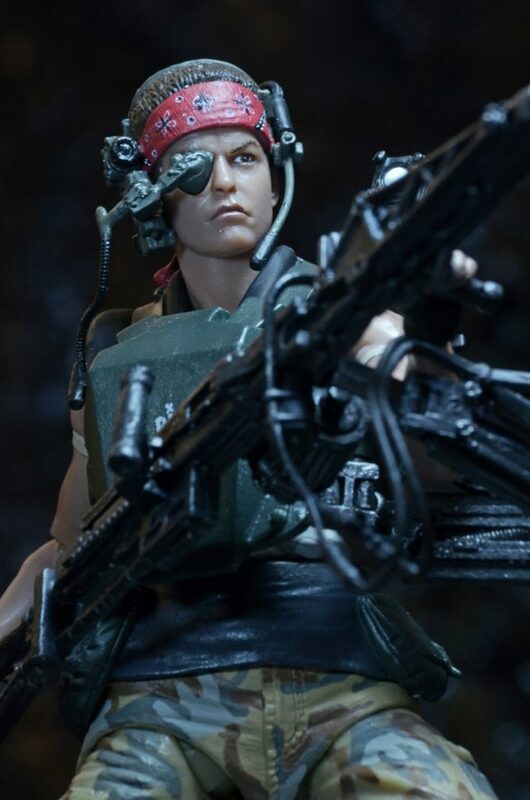 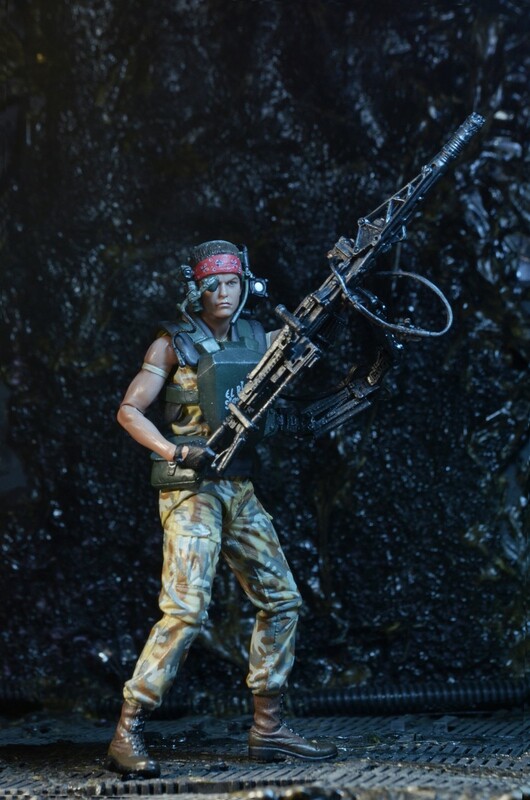 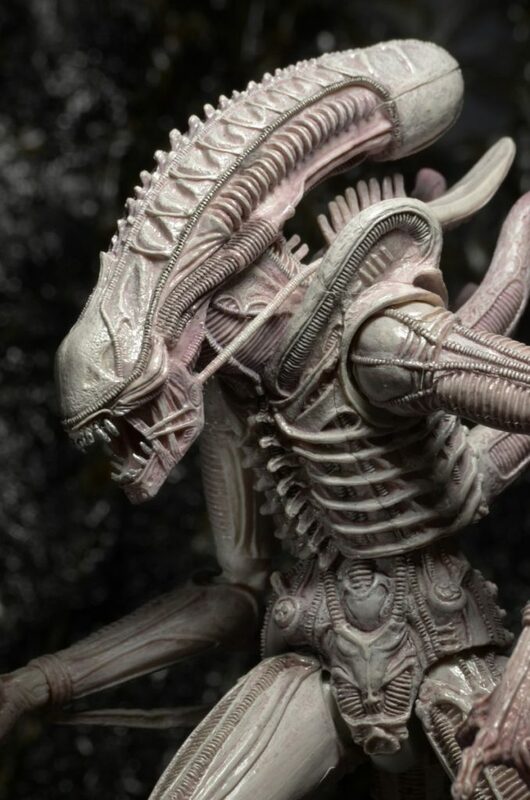 Celebrate the 30th Anniversary of Aliens with three extraordinary action figure debuts! 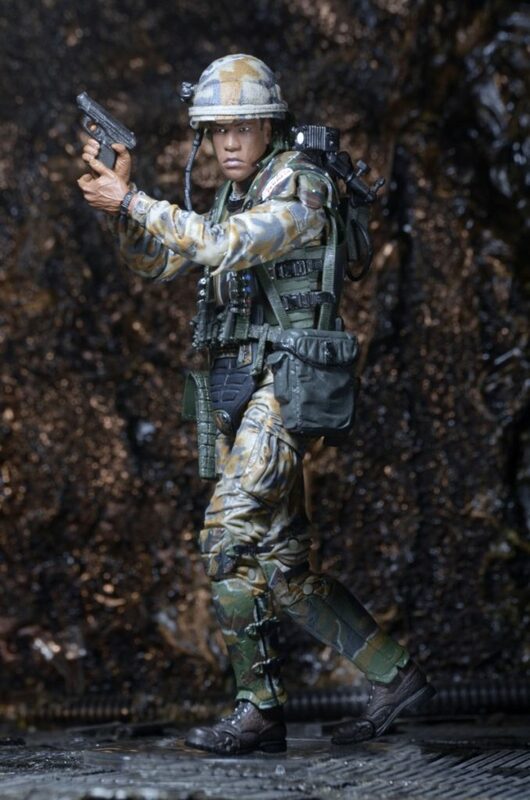 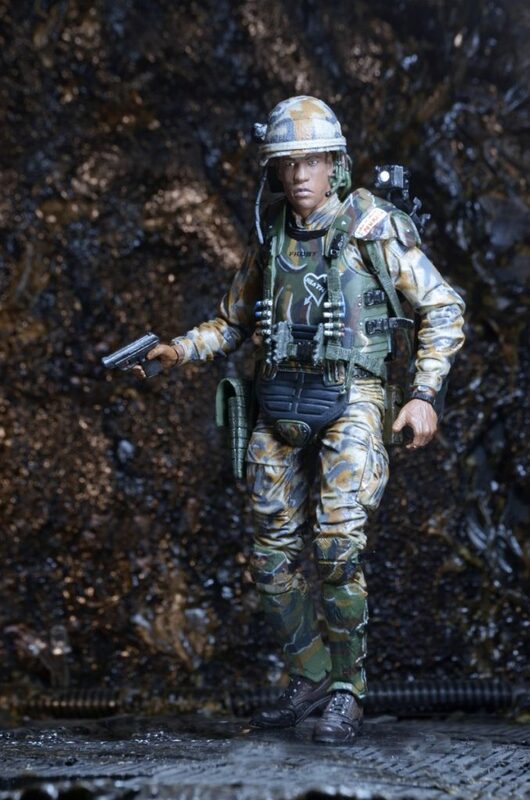 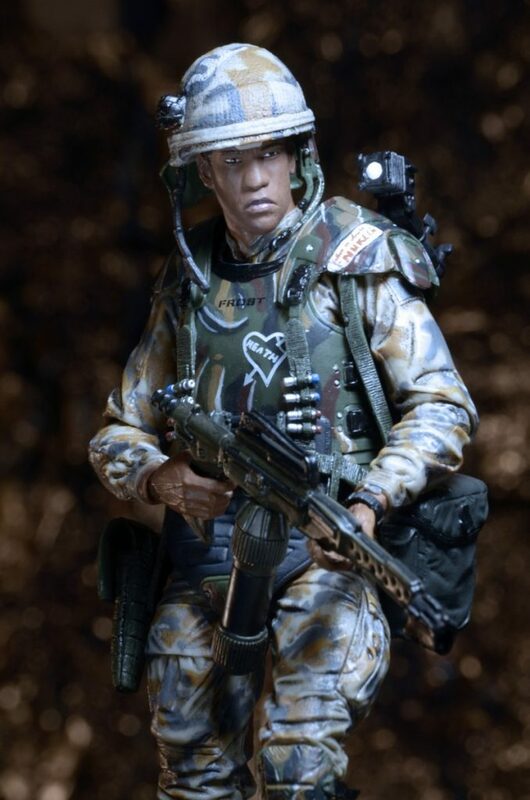 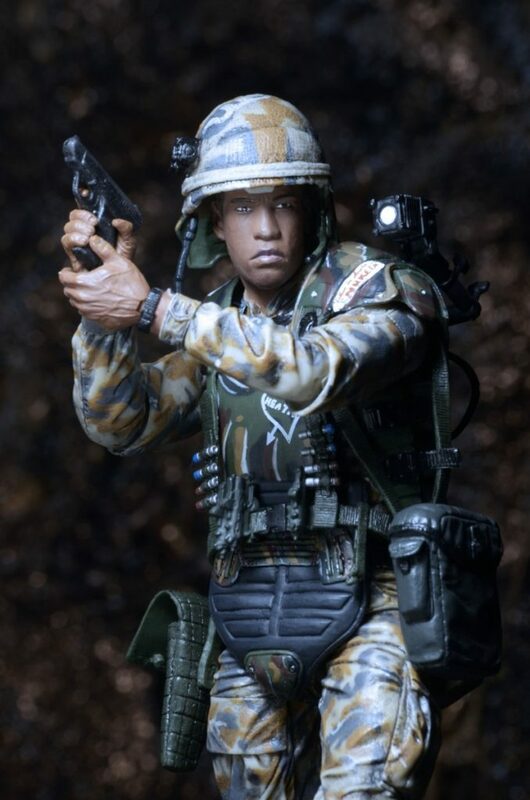 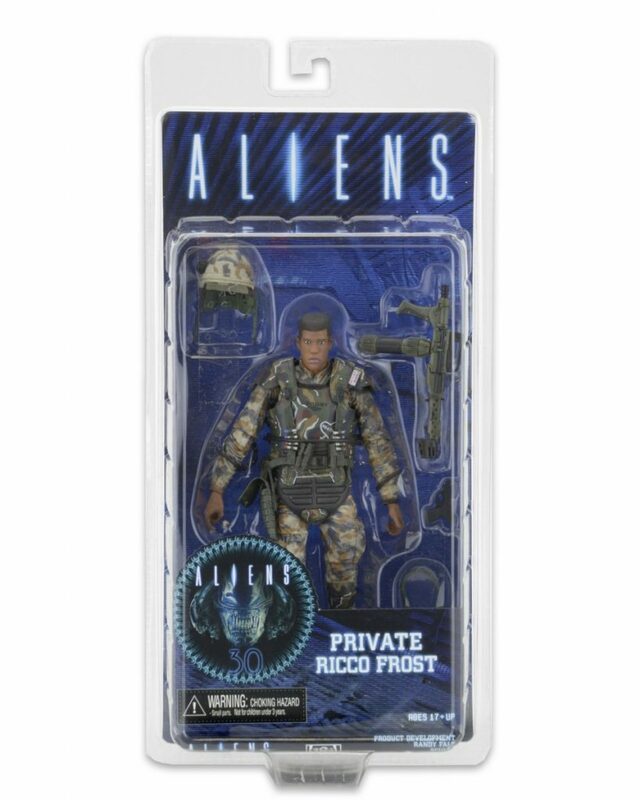 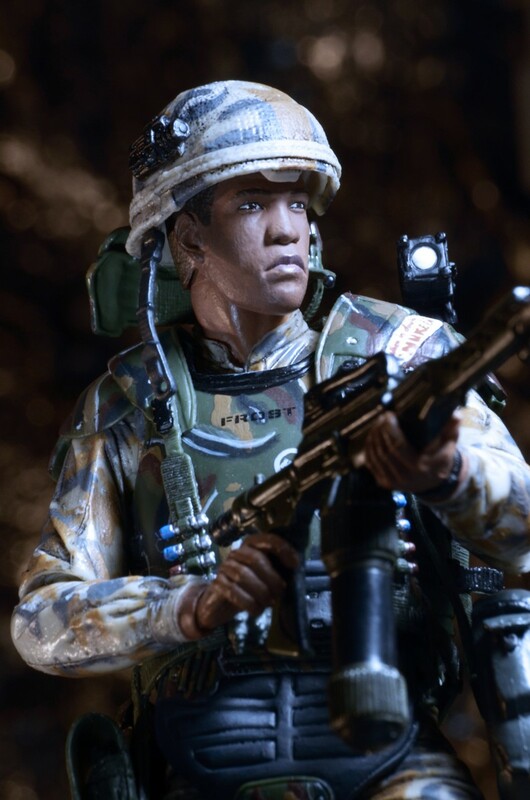 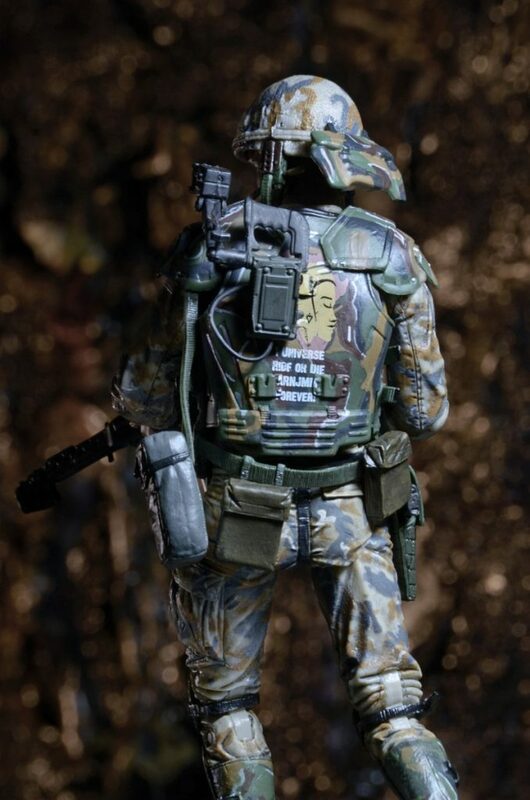 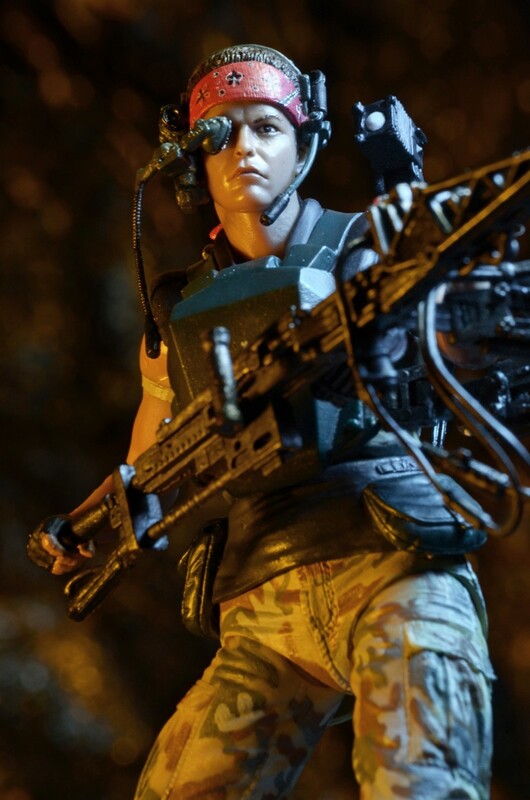 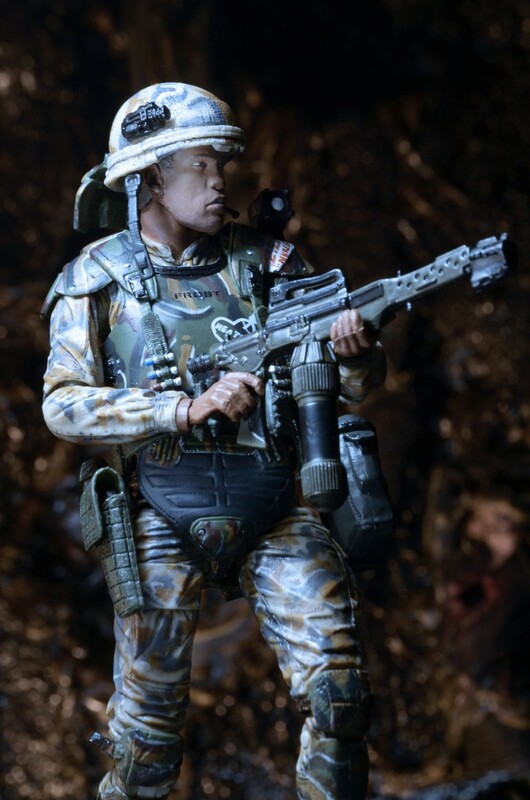 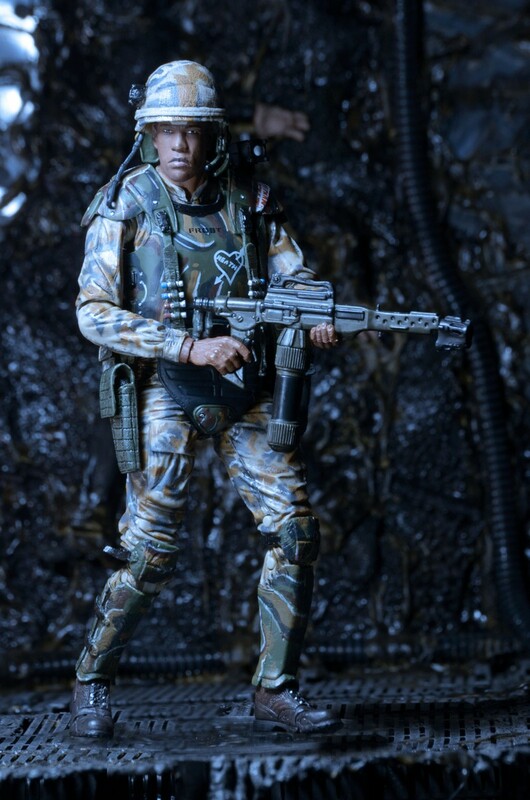 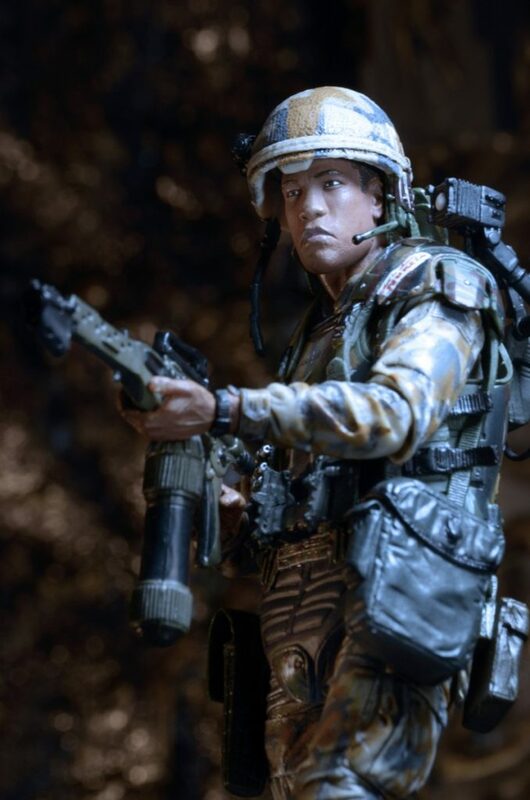 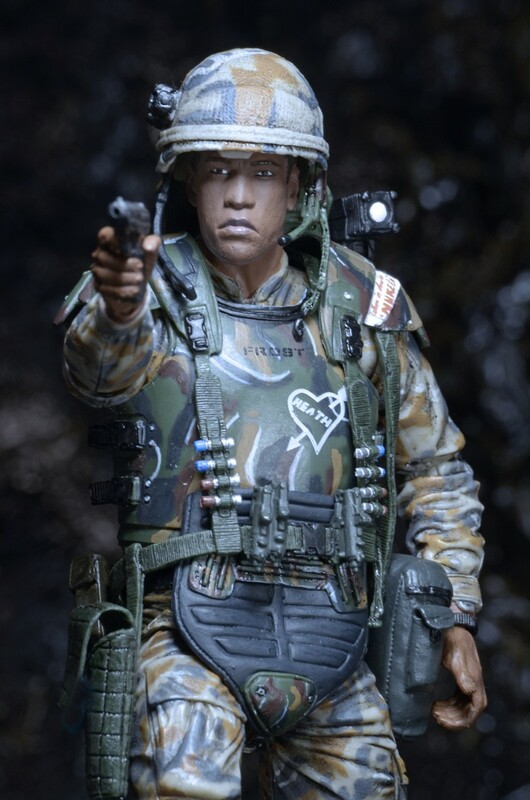 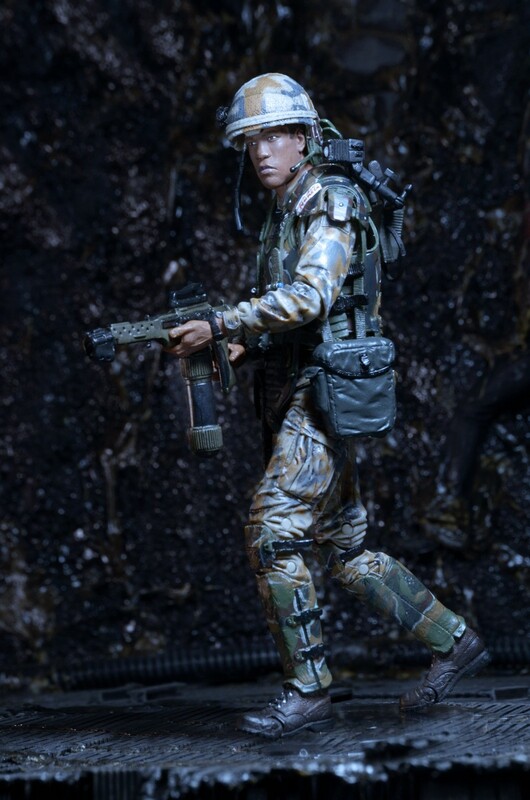 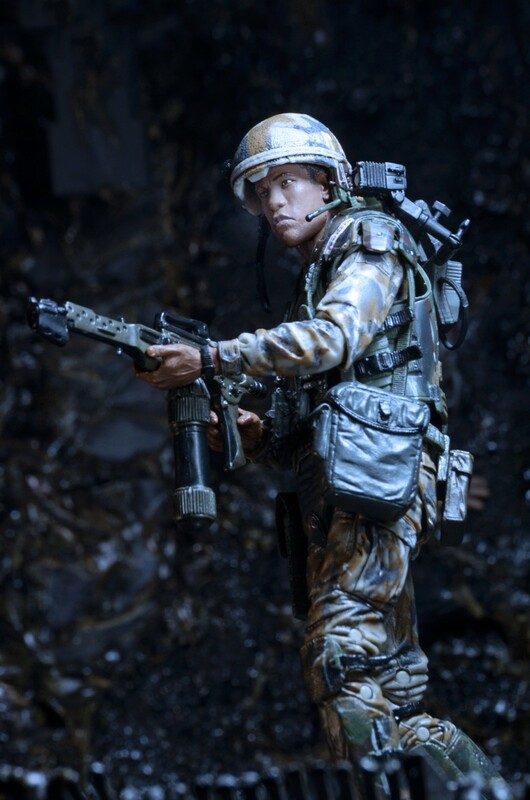 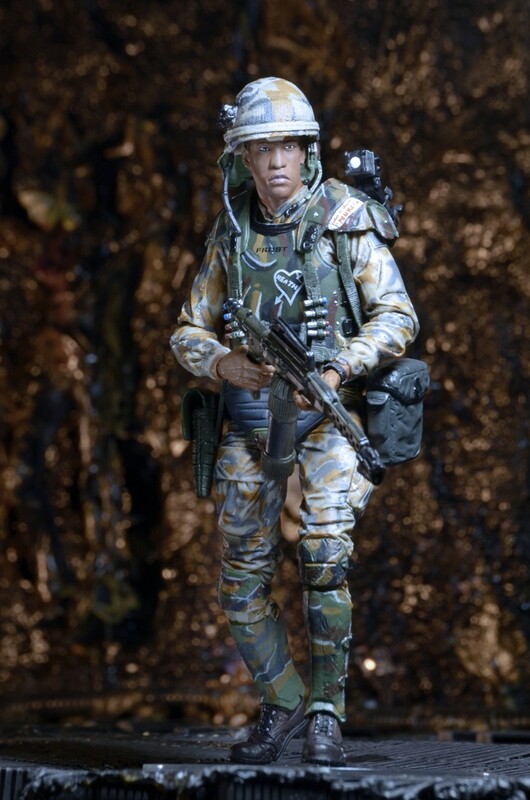 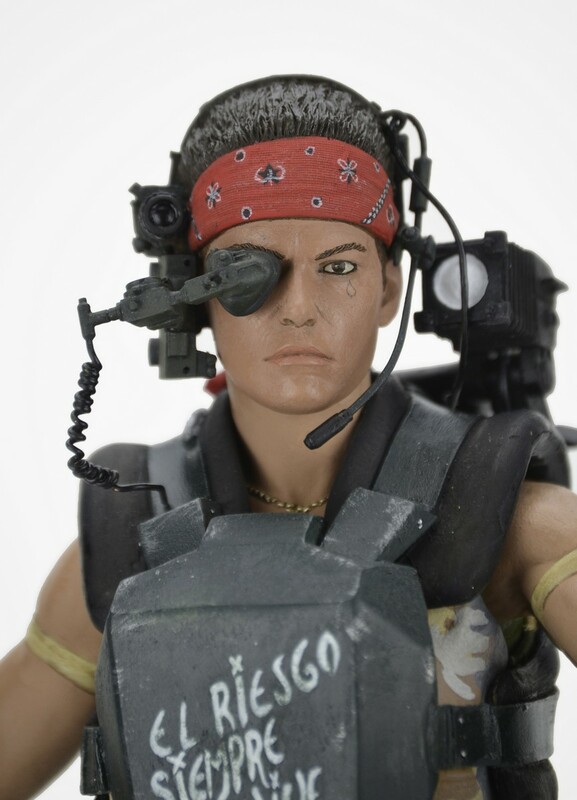 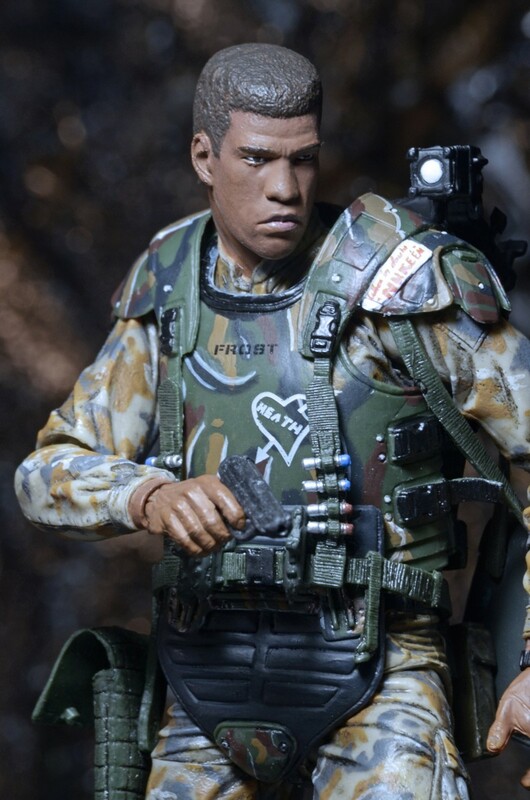 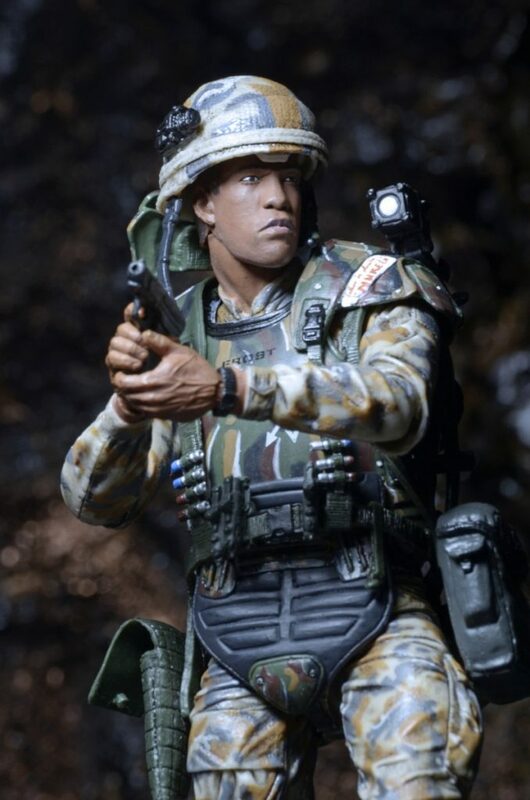 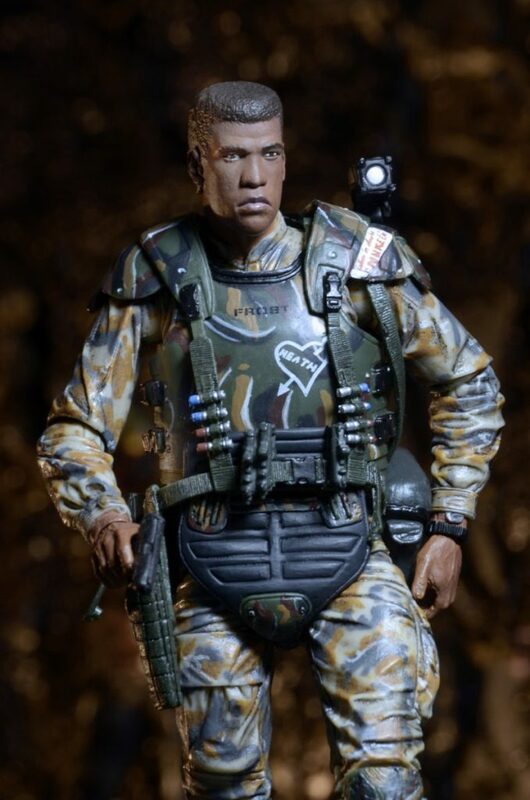 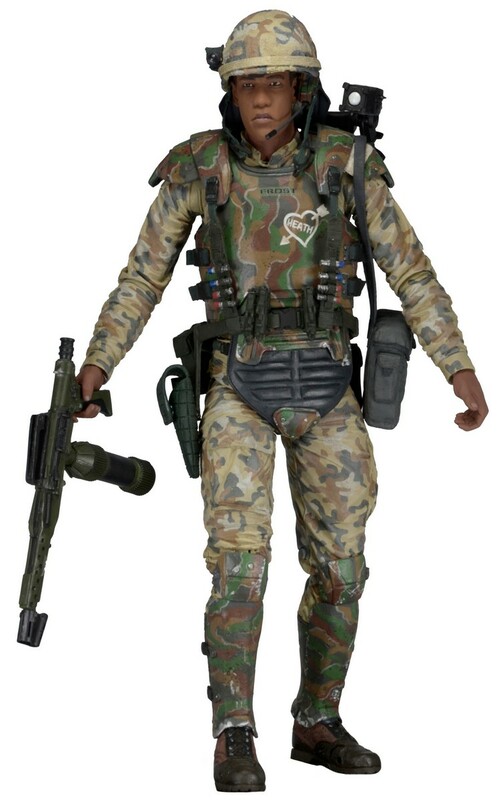 Series 9 includes the first-ever Private Vasquez and Private Frost figures with authorized likenesses, as well as an Albino Alien concept figure based on the original James Cameron screenplay. 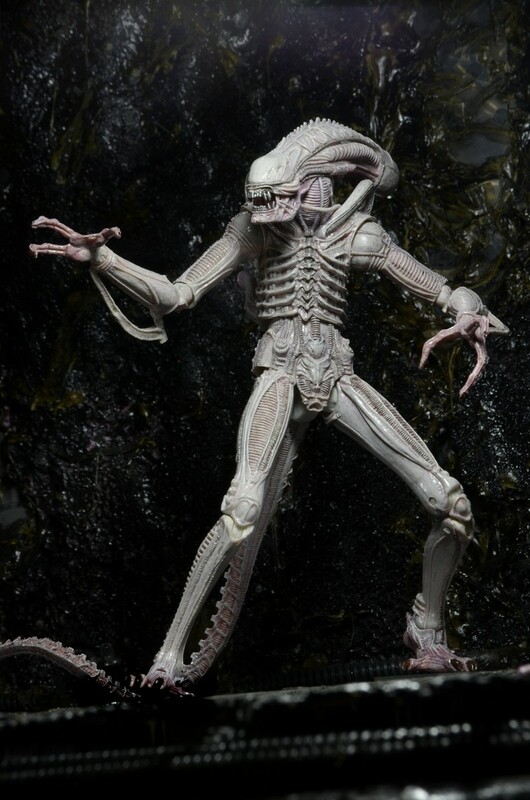 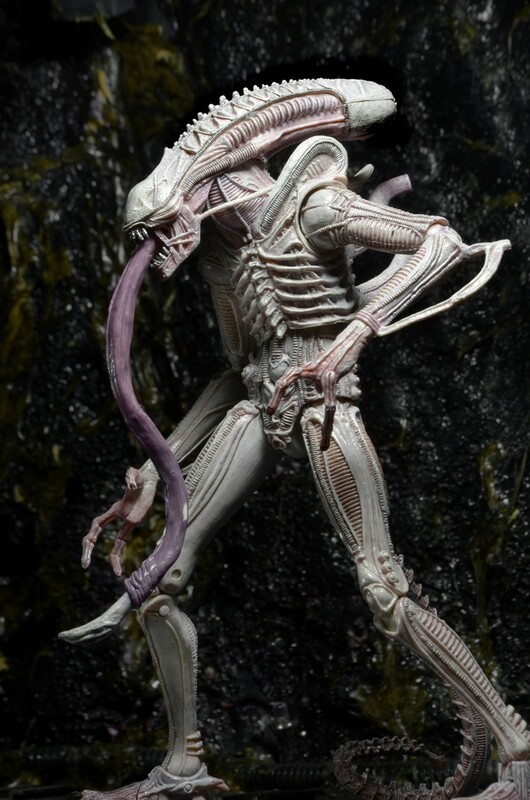 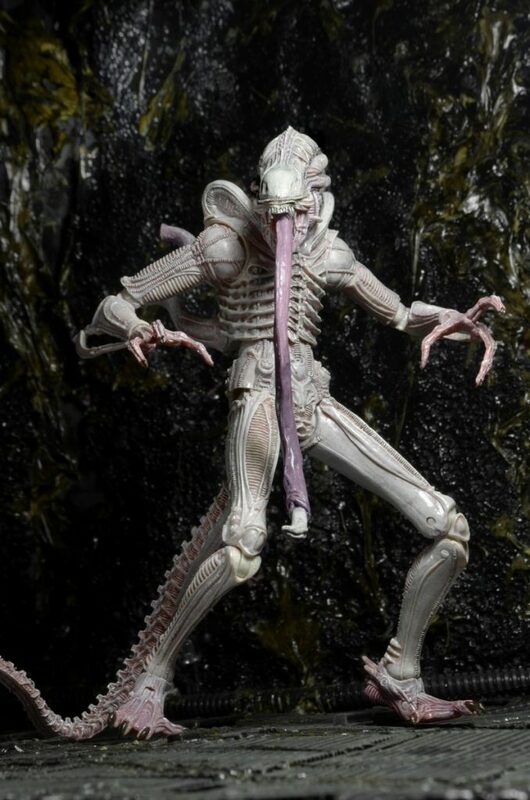 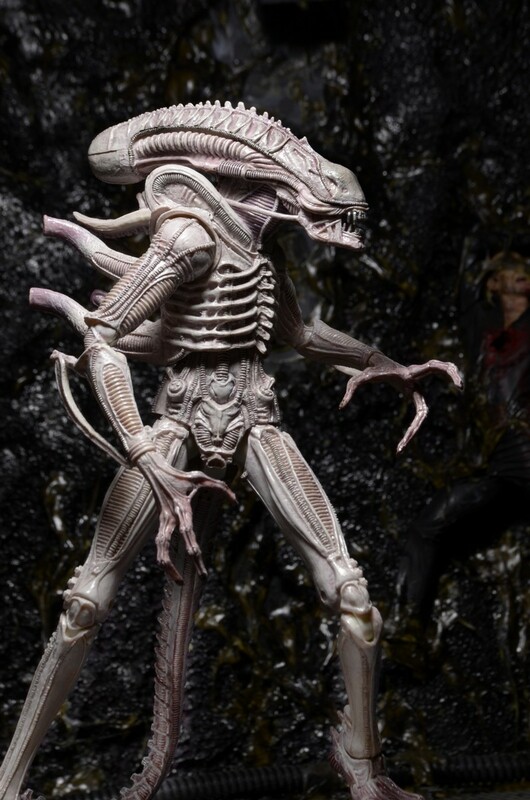 All figures stand approximately 7” tall (Albino Alien is over 9” tall) and come in 30th Anniversary clamshell packaging. 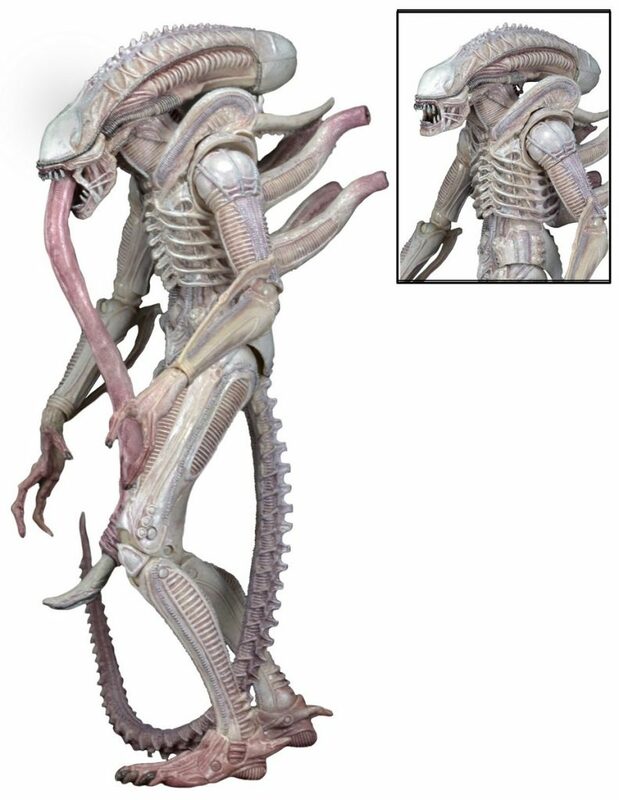 For detailed descriptions of all three figures, head over to the product page!